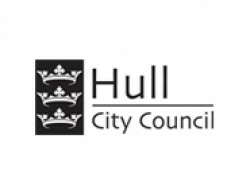 Sovereign Signs were approached and asked to manufacture a bespoke set of oak wooden signs to be housed at Wilberforce House Museum in Hull (birthplace of William Wilberforce) for Hull City Council. On this project, we worked closely with our client to create a sign that was designed by the Ian Goodison Design Consultancy. We manufactured and installed both signs at the museum near Hull City Centre. The informative sign you see in the slideshow above was specifically positioned under the large Mulberry tree at the museum entrance, with the purpose of notifying visitors of the potential dropping of fruit. If you are looking for bespoke informative signage for your business, educational setting, charity or other venture, contact Sovereign Signs on 01482 618234. Let our friendly and experienced team guide you through every step of the process and provide the perfect signage that meets your needs. Get in touch here.